The title track of the album finally got the single treatment, albeit in Italy, when the band visited the country during their tour in March 1983. 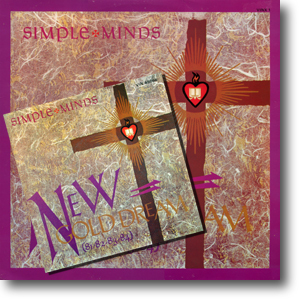 The edited version of New Gold Dream (81,82,83,84) (which featured on the US version of the album) was used for the 7". And a wonderful extended version, which first appeared (unannounced) on the German CD of the album was used for the 12". Both were backed by the album version of Somebody Up There Likes You.